Alan Titchmarsh’s Love Your Garden has firmly beaten BBC2’s Gardeners’ World in the ratings battle. Every episode of ITV’s hit makeover show drew a bigger audience than the BBC’s flagship Gardeners’ World, fronted by Monty Don. The launch episode of the fourth series of Love Your Garden in June drew 3.08 million viewers. Just 1.99 million saw Gardeners’ World. 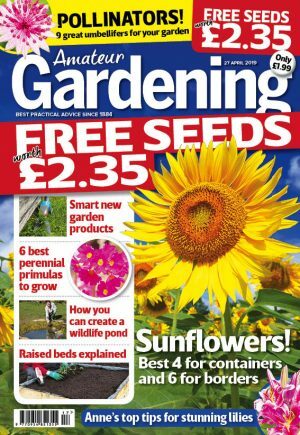 While Love Your Garden drew over two million viewers throughout July and August, viewing figures for Gardeners’ World dipped to 1.67 million. A new series of Love Your Garden, which sees Alan makeover gardens for people who have suffered tragedy, has been commissioned by ITV for 2015. Executive producer Matt Young said Love Your Garden had beaten Gardeners’ World in the ratings for three years. Matt told AG: “We make gardening as accessible as possible to a wide variety of people. But Matt said he watches and enjoys Gardeners’ World, too, adding that it is good to have more gardening programmes on TV. The BBC told AG that the two programmes were “not directly comparable” because ITV has a “much bigger audience reach as a whole than BBC2”. A spokeswoman said: “They transmit on channels that are not comparable. Gardeners’ World serves BBC2 well.